Posted in Uncategorized and tagged Armani Privé, Christian Louboutin, COVERGIRL, fashion, GetTheLook, Ilia, Modern Vintage, Oscars, polyvore, redcarpetbeauty, redcarpetbeauty getthelook oscars, style, Tory Burch, Witchery, Zuhair Murad. Bookmark the permalink. Posted in Uncategorized and tagged Ann Taylor, Aquazzura, fashion, Forever 21, GetTheLook, Ippolita, Jimmy Choo, KateHudson, LancÃ´me, MSGM, Oscars, polyvore, redcarpetbeauty, redcarpetbeauty getthelook oscars, style, TheBalm, Topshop. Bookmark the permalink. 3/4 cup of Bulgur (cook and set aside to be served with the stir fry). In a large skillet, heat the vegetable oil over medium heat. Add the garlic, onions, and peppers and sauté for 2 minutes or until the peppers are tender are tender. Add the sweet potatoes, red wine, soy sauce, worcestershire sauce, salt and pepper and cook for about 10 to 15 minutes. * I came up with this recipe a few days ago and I haven’t tested it on anyone else. I had it for lunch today and it came better than I expected. To be honest, I was kind of worried that it might taste terrible but I like how it came out. I hope my kids love it for dinner because I am not planning on cooking a second meal today. 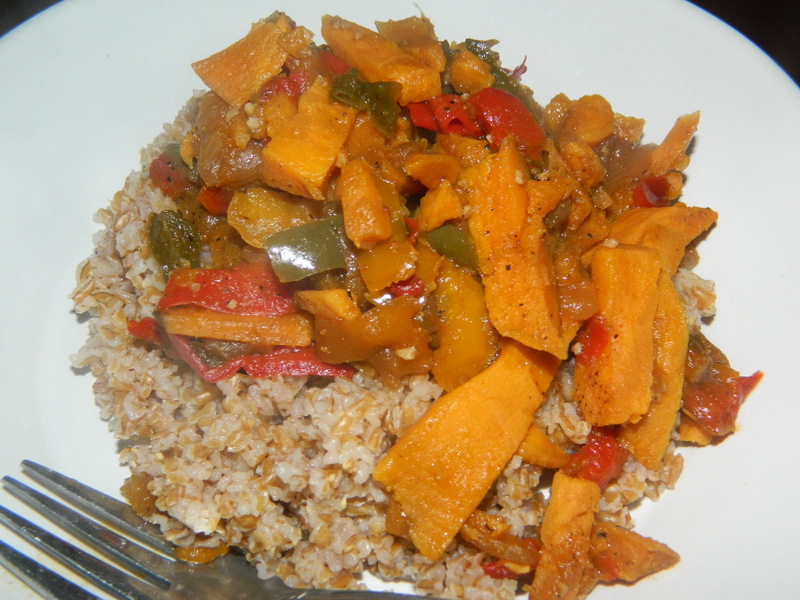 Posted in Health/Fitness, Recipes and tagged bulgur, meatless month, simple dinner ideas., stir fry, sweet potato, worcestershire sauce, yummy recipes. Bookmark the permalink.